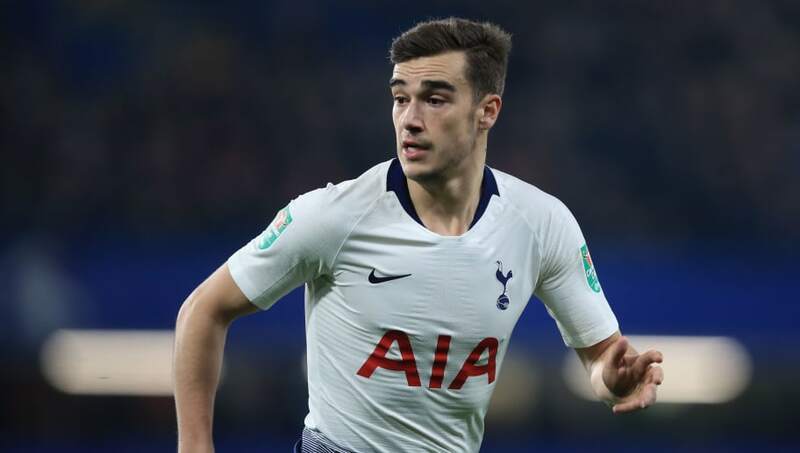 ​Tottenham Hotspur midfielder Harry Winks has confirmed he is awaiting test results after being forced off the field in Tuesday's 1-0 victory over Borussia Dortmund. Mauricio Pochettino's men secured qualification to the quarter-finals of the Champions League with the victory, but Winks could not finish the match after limping off during the second half, with Eric Dier coming on to replace him. Speaking after the game, Winks confirmed he does not know the severity of his injury. He is quoted by the ​Evening Standard as saying: "We don't know yet. I've had a bit of a problem the last four or five days. A problem with my hip and groin. "We'll assess it today and see how bad it is, but nothing too serious." The 23-year-old has been a regular part of the ​Tottenham side in recent weeks, with ​Dier and ​Dele Alli both struggling for fitness as a result of illness and injury respectively. He had started 11 consecutive matches for Pochettino's side, but was not involved in Sunday's 1-1 draw with ​Arsenal. He was reinstated to the lineup for Tuesday's meeting with ​Dortmund, but managed just 55 minutes before being forced to leave the pitch through injury. Tottenham fans will certainly hope that Winks' injury is not serious, with the team desperate to recover from a string of disappointing results which has seen their ​Premier League title aspirations fade. Ahead of the draw with Arsenal, Tottenham had fallen to consecutive defeats against both ​Burnley and ​Chelsea, and they now currently find themselves ten points behind league leaders ​Manchester City. Their focus has now switched to securing a top-four finish, and the Champions League qualification which comes with such an outcome. Tottenham are third in the standings, with a three-point advantage over ​Manchester United in fourth. However, both Arsenal and Chelsea remain in hot pursuit of the top four, and Tottenham will be desperate to secure a positive result at ​Southampton on Saturday as they seek to maintain their slender advantage over their competitors.